Myriad restaurants and bars have hosted highfalutin beer dinners with sticker shock price tags, but rarely have they offered affordable dining events, especially locally. (The Common Table’s Pour Man Dinner series is one exception.) Lobster and Dogfish Head Noble Rot are a fine and dandy coupling, but who eats like that everyday? 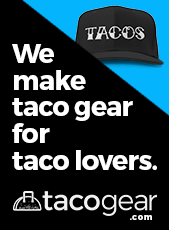 Beer, like the taco, is for everyone. The two belong together. 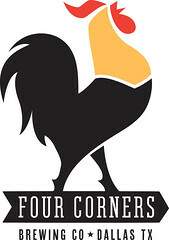 That’s why I hosted taco truck and beer extravaganza TacoCon (Cerveza) at Four Corners Brewing Co. And I’m not done yet. 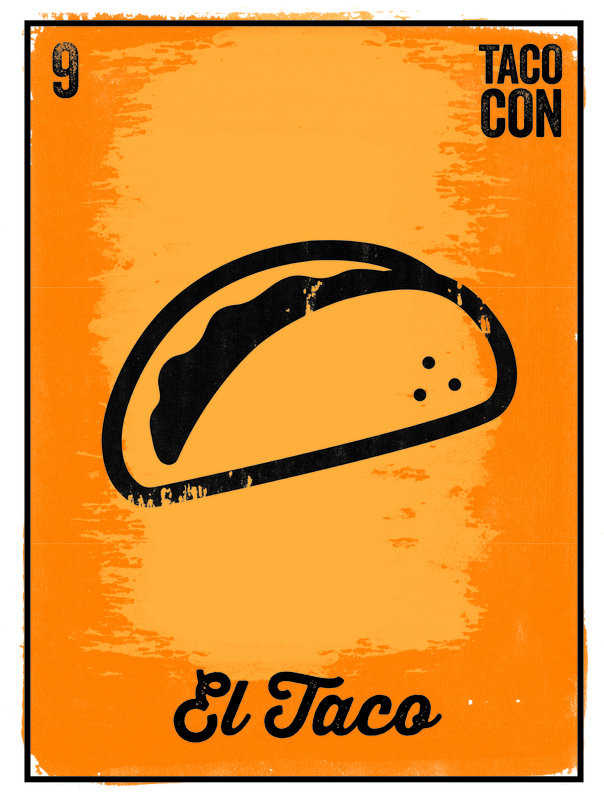 Now I’m partnering with Urban Taco and Deep Ellum Brewing Co. to present a proper tacos and beer dinner. The five-course “Tacos + Beer” dinner at the Uptown Urban Taco is a one-night-only event showcasing beer-inspired dishes, among them Urban Taco classics and new items created specially for the event, alongside DEBC’s local craft beers. 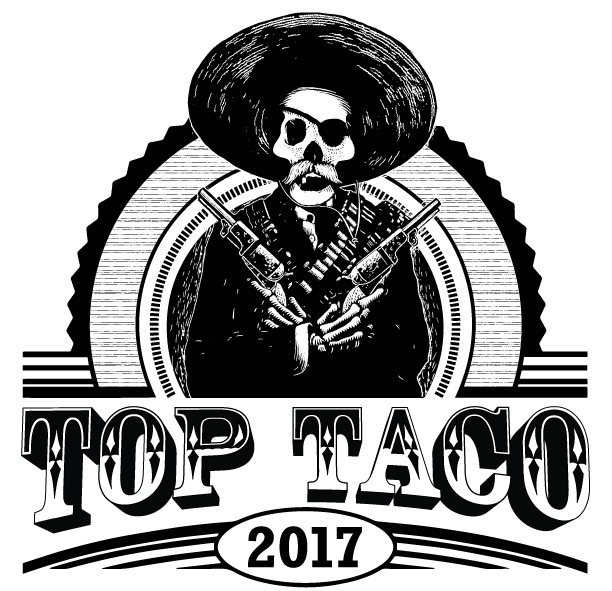 The latter includes Holy Mole Brew, an exclusive release that pays tribute to Urban Taco owner Markus Pineyro’s mother’s mole poblano recipe. That delightful concoction will be served with the Churrnut, a churro-doughnut filled with housemade cajeta and topped with chocolate Abuelita. 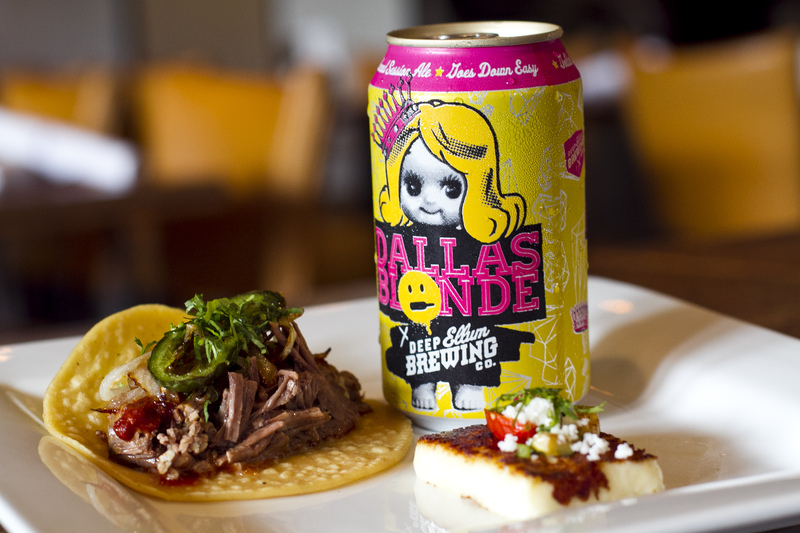 Also on the menu—and this one I’m really jazzed about—it is the Double Brown Stout six-hour braised barbacoa matched with Dallas Blonde ale. The contrast works beautifully. A salsa and beer trio kicks off the meal. Seating and the commemorative custom pilsner glasses are limited. So make your reservation for the $45 dinner by calling 214-922-7080 or visiting the Eventbrite page. WHEN: Wednesday, October 2, 6:30—9:30 p.m. 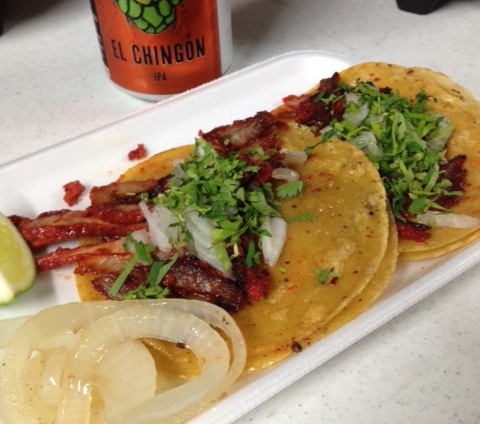 While we recovered from the smash hit that was TacoCon (Cerveza) at Four Corners Brewing Co., Taco Trail visited Taco Wagon‘s new incarnation. 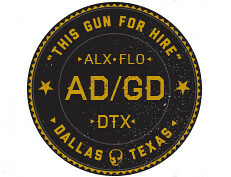 We also began planning TacoCon Fort Worth. Entree Dallas has news that our friends at the aforementioned brewery will be the exclusive beer provider at the Texas Discovery Gardens during the State Fair of Texas. 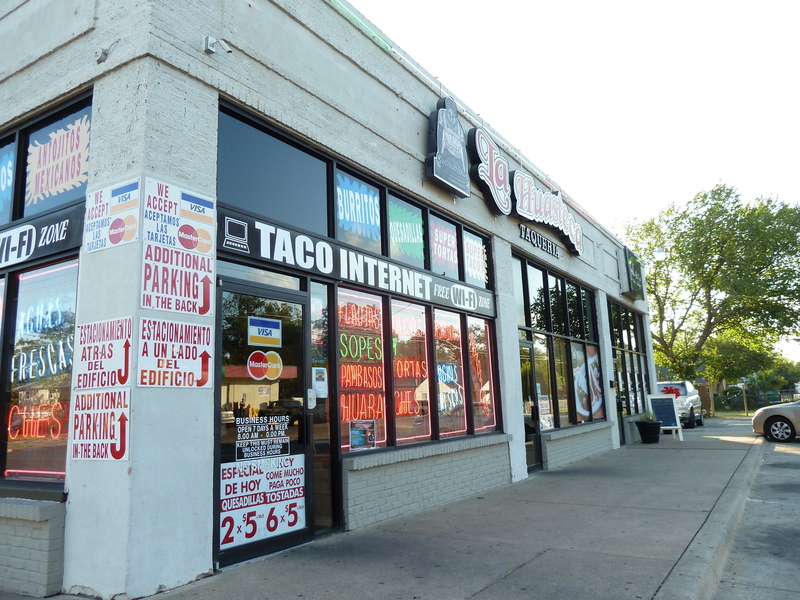 City of Ate ran a post about Taqueria Conin, the joint that took over the original Tacos La Banqueta space on Carroll Street, when the latter operation was evicted. 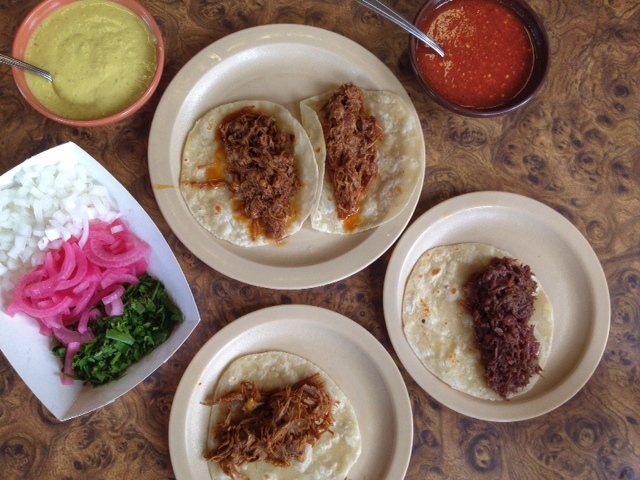 Fans of the longtime Dallas favorite shouldn’t have to wait long (depending on your level of patience) to once more relish excellent suadero and slurpy, fatty cabeza. 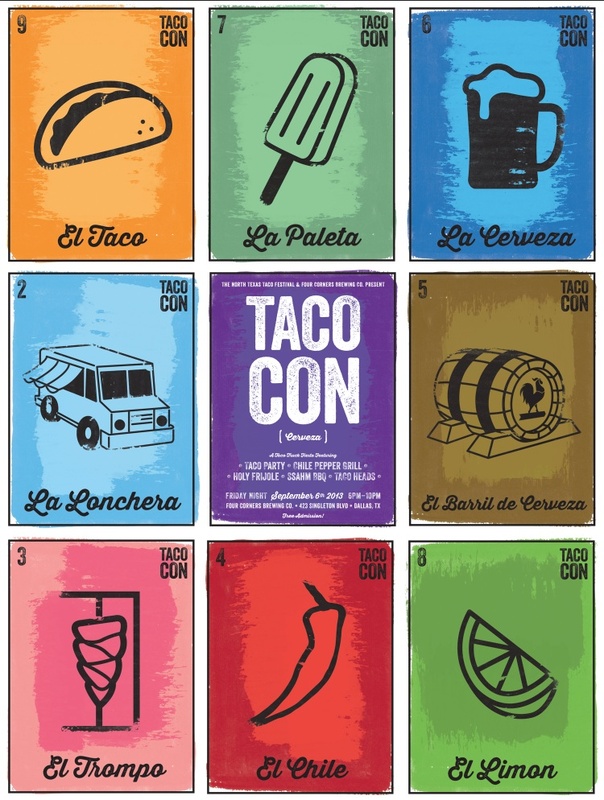 There are whispers East Dallas will soon have a new taco spot and, yes, TacoCon is rolling into Cowtown. 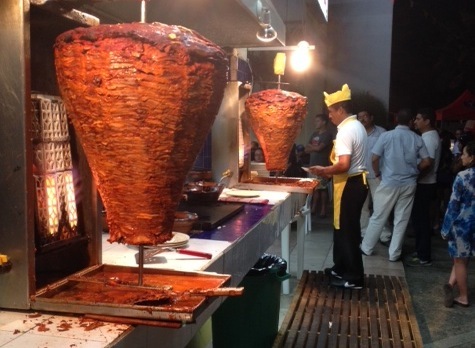 Elsewhere, Julia Child’s favorite taco spot has long lines, Chicago Tacos goes for tinga, steamy DF has its place in Santa Barbara and more.